The UCCP communications team provides training and examples of how to create a data driven recruitment plan, designed to meet the individualized needs of your community. This webinar provides guidance for implementing CDC recommended evidence-based interventions, writing measurable SMART goals, and utilizing tested educational materials from the UCCP recruitment toolkit to increase the number of Utah women enrolling in the program and receiving the recommended health screenings. Patient navigation programs are intended to overcome obstacles that can prevent individuals from accessing cancer care and to improve coordination of their care. The National Cancer Policy Forum will hold a public workshop on November 13-14, 2017 to examine the optimal conditions and components of successful patient navigation programs in oncology. The workshop will be live webcast on this webpage. 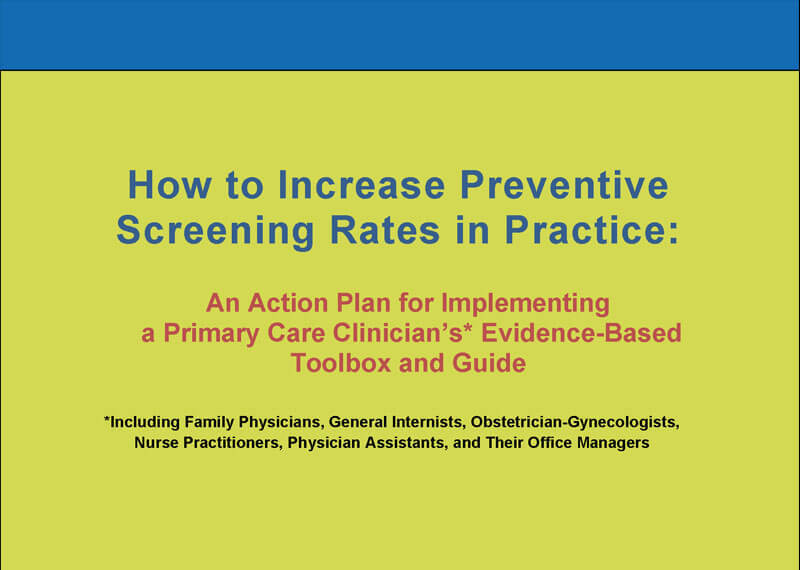 Designed for primary care providers and their office managers, this toolbox and guide outlines various ways to set up an office policy, reminder system, and effective communication system aimed at increasing colorectal cancer screening rates.